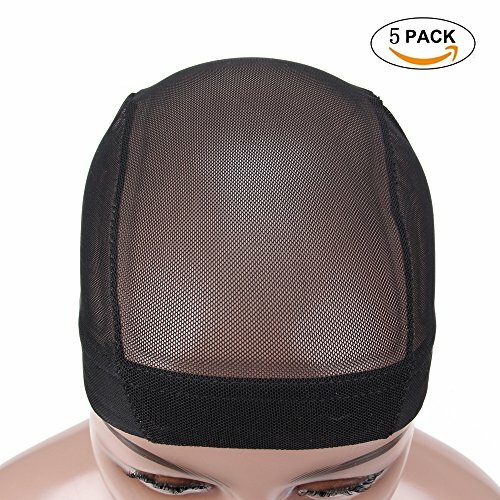 Leeons 5Pack Breathable Mesh Dome Wig Cap, Spandex Dome Cap, Stretch Hair Care Cap Costume Wig Accessories for Making Wigs(Black) by Leeons at Beauty Sols. MPN: LeeonsDomeCapThick5pcs. Hurry! Limited time offer. Offer valid only while supplies last. Reasonable Price：You Get 5 Packs Premium Quality Mesh Dome Caps with Prefect Workmanship. USeful:It can help you hold your hair or wig in place and prevents slipping. Professional After-Sales:We love our buyer and always here for your disposal,if there are any product questions,please feel free to contact us,we will reply within 12 hrs. If you have any questions about this product by Leeons, contact us by completing and submitting the form below. If you are looking for a specif part number, please include it with your message.